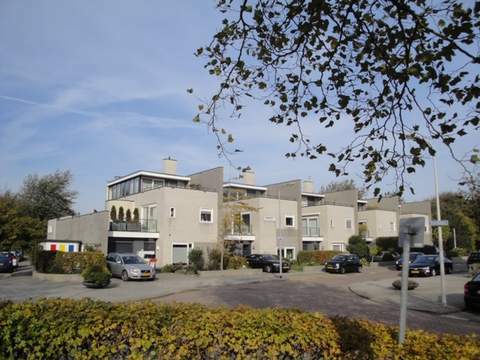 Kwartellaan 48 Price asked € 750.000 k.k. Lovely located on eternal leasehold land which the rent charge has been bought off and diagonally opposite the dunes, well maintained 5/6 room "Kropholler" corner house with the back garden facing south and a spacious garage. Entrance with wooden awning and original front door, corridor with floor tiles laid out in the kitchen, built-in cupboard under the stairs, fully tiled toilet with hand basin, cozy and bright living / dining room approx. 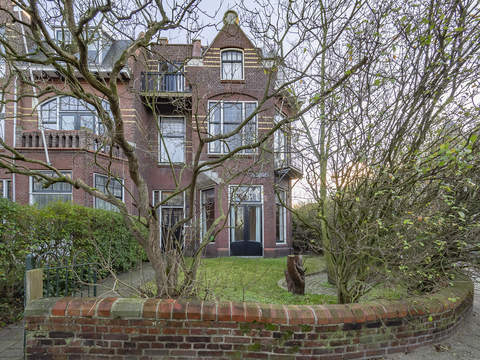 7.40 x 3.63 with bay window with stained glass, parquet floor and French doors to the side - and back garden. Beautiful unobstructed view to the dunes and the Kwartellaan. Wide kitchen approx. 2.55 x 2.60 with on both sides a red kitchen units of wood, fireplace with corner parts, induction cooker (2016), combi microwave, fridge / freezer (2017), dishwasher, close-in boiler, natural stone counter top and on the other side a wooden counter top. Spacious plot with a sunny back garden facing south, original storage approx. 2.72 x 1.10 with gable roof and spacious garage approx. 5.62 x 2.65 with electric door and spacious loft. Landing, the front and back bedroom are pulled together approx. 7.43 x 3.65 and is currently in use as master bedroom with spectacular views, these rooms can easily be brought back to 2 bedrooms, back room approx. 2.58 x 2.62, adjoining balcony approx.2.93 x 0.95 with original balustrade. Modern bathroom approx. 1.97 x 2.03 with shower, toilet and wooden bathroom furniture. Spacious attic room approx. 6.56 x 3.58 with dormer, skylight and access to the loft, laundry room approx. 2.10 x 1.40 with the central heating system. Electricity 6 + 2 fase groups with circuit breaker. Central heating system, brand Vaillant, built in 2002. Hot water supply by central heating system and close-in boiler. Living surface approx. 119 m². The volume of the house is approx. 428 m³. Close to shops on the Mezenlaan, Fahrenheitstraat, Goudsbloemlaan, Frederik Hendriklaan and the Savornin Lohmanlaan. Bosjes van Poot, Bosjes van Pex in the immediate vicinity and just steps away from the dunes, beach and sea and Boulevard of Kijkduin. Public transport, RandstadRail line 3, tram 12 and bus 24, main roads through Westland Road and Hubertustunnel. 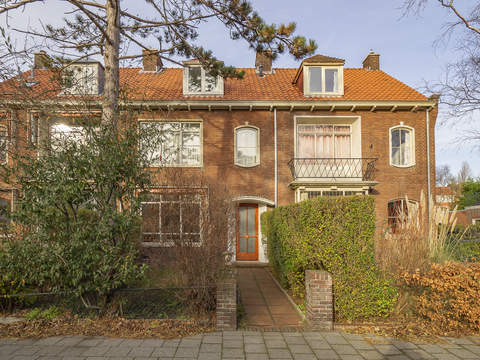 Near European and International School of The Hague, schools and various sports facilities including tennis, football, hockey, handball and horseback riding.